Wild Lilac offers early childhood education programs for children between six weeks and six years of age. Wild Lilac is a warm and loving community of children, teachers, and families who value the importance of imagination, creativity, and play for early learners! We offer a cozy and inviting inside space to support children’s imaginative play and an outside space alive with possibilities for daily adventure. In an environment rooted in respect and compassion, we strive to nourish each child’s spirit, foster his or her natural sense of wonder, and provide a protective space for him or her to grow. 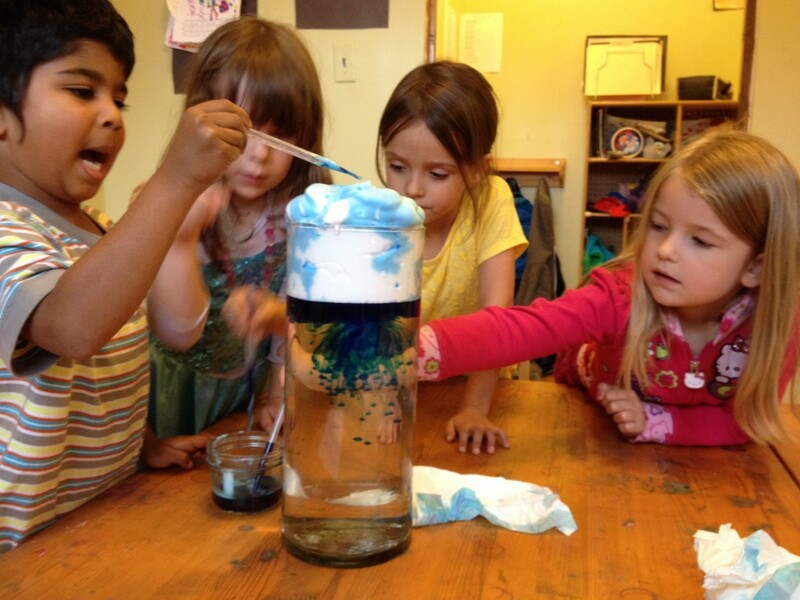 At Wild Lilac, curriculum is focused on exploration, creation, and play. Wild Lilac uses The Creative Curriculum for Infants and Toddlers and The Creative Curriculum for Preschool as an evidence-based guiding framework. 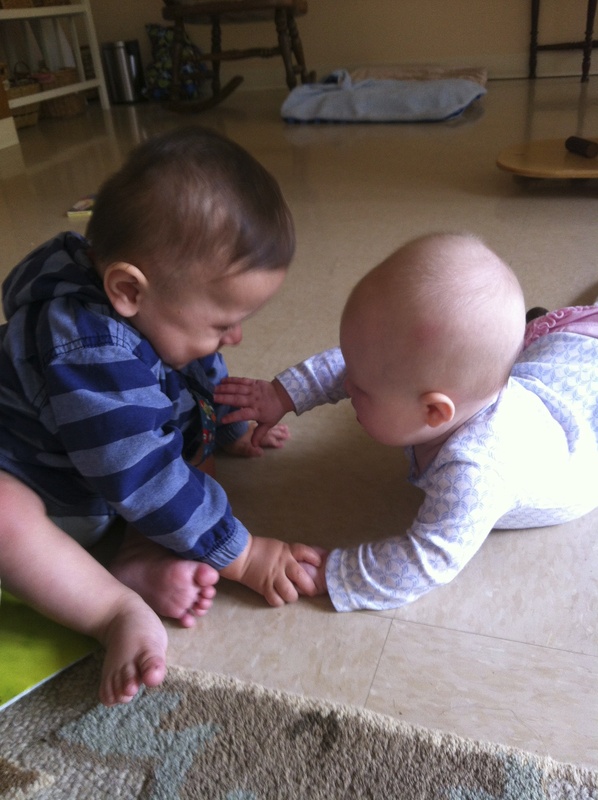 We value play as critical for children in building confidence, language, interpersonal and problem-solving skills. Wild Lilac teachers observe and document children’s play to better understand their ideas, interests and theories about the world. By understanding what children already know and believe, Wild Lilac teachers are able to plan classroom experiences that respond to children’s ideas as well as their unique strengths and needs. 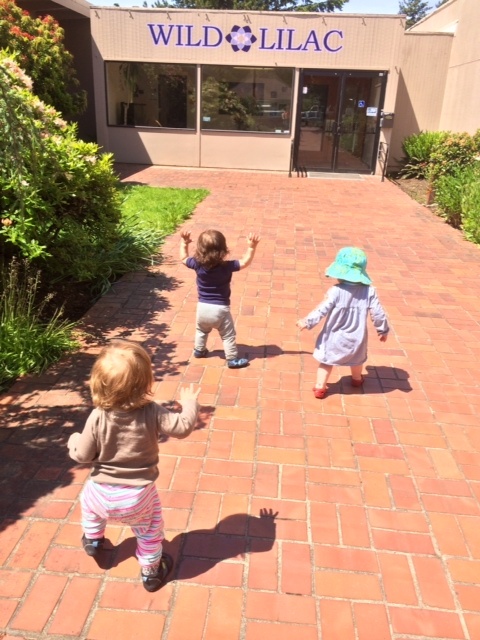 Children are natural theory-builders, and Wild Lilac’s teachers strive to give children time, space and freedom to develop and test their own theories about the world around them. This space for play allows children to gain confidence in their own ideas, build self-esteem, become more independent, and increase their self-efficacy. At Wild Lilac, teachers use a project approach to explore themes of interest in the classrooms. In working collaboratively on meaningful projects, Wild Lilac children develop academic competencies in authentic contexts. During project work, each child explores concepts of early literacy, math and reasoning differently depending on his or her unique development. While working on significant projects, children discover their own strengths and learn from each other. In working together, children build on each other’s knowledge and develop familiarity with language, early math concepts, and scientific thinking that prepare them for the curricular content and social expectations of kindergarten classrooms. The dynamic social environment of Wild Lilac supports children’s social and emotional development, and promotes prosocial peer interactions, adult interactions, adaptive social behavior and self control. Wild Lilac is an environment which promotes inquisitiveness, self-motivation, self-discipline, determination, empathy and the ability to respectfully communicate. Wild Lilac Child Development Community admits students of any race, color and national or ethnic origin.